Galeria Jurajska is a shopping centre put into service in 2009 with a total of 130 000 sqm area, including 48,800 sq m retail and entertainment area. 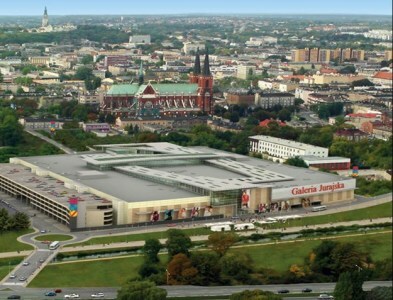 The shopping centre offers almost 200 shops, service and gastronomic points and Cinema City with several auditoriums. Key tenants: H&M, New Yorker, Cinema City, Intersport, Zara, Massimo Dutti, Bershka, Stradivarius, Reserved, Mohito, Sinsay, Home&You, Cropp, House, C&A, Alma, Euro RTV AGD, Empik, TK Maxx, Smyk.